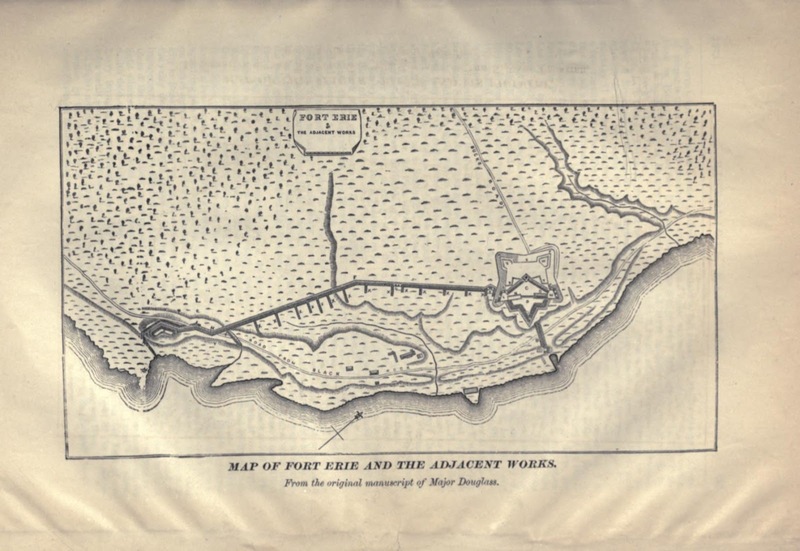 This weekend I'm heading to Old Fort Erie, across the mouth of the Niagara River from Buffalo, New York, for a reenactment of the siege there from August 4 to September 21, 1814. The siege was the most bitterly fought stand off to occur during the war, and pitted the worn down veterans of Chippewa and Lundy's Lane against a reinforced British Army led by Lt General Gordon Drummond. Several veterans of General Harrison's Northwestern Army were present, including the commander of the American forces, Brigadier General Edmund P Gaines. Gaines had been Lt. Colonel of the 24th Infantry at Fort Meigs during the second siege the previous year. In the year since he had led the 25th Infantry at Crysler's Farm and had served under Major General Jacob Brown during the 1814 Niagara Campaign. Now, with Generals Brown and Winfield Scott seriously wounded, Gaines took command of the remains of the American army. The most dramatic point of the siege was a three-pronged night attack made on the fort by the British. Major William Allan Trimble of the 19th US Infantry had just arrived with two companies of Ohio recruits 118 men in total, when he found himself assigned to defend the walls of the stone Fort Erie itself. The small, incomplete stone fort was now merely the corner of a defensive earthwork that extended along the lakeshore to a small rise of ground known as Snake Hill. Early on the morning of August 15 he and his men found themselves in a life or death struggle for control of the fort. He recounted his experiences to his younger brother, Carey, who was a Lieutenant in the same regiment. When William was wounded in the sortie on September 17, 1813, his brother found himself in command of the remnants of the 19th Infantry Regiment for a while. I have just received yours of the 10th inst. I had accidentally heard of your returning to the western country (Lt. Carey Trimble had been captured during the surprise attack on Fort Niagara and paroled). Yours is the only letter I have received from any of the family since I left Ohio. I was ordered by the Secretary of War to remain with this army till further orders. Not having received a notification of my exchange I did not go with the army into Canada, but on the 7 of July I was ordered to take command of Buffaloe, the depot for the military stores of the Army + for the sick wounded + convalescents (Maj Trimble had been captured at the fall of Detroit as a Major of the 1st Regt Ohio Volunteer Infantry and had been paroled but not exchanged during the campaign of 1813). On the 2d of August I received an official notification of my exchange and on the 12 inst I was relieved in the command of Buffaloe + came to this place on the 13th the day the cannonade commenced. The 19th Regt arrive on the evening of the 14 and I was ordered into the Fort Erie about ten Oclk P.M. (insert) I demanded instructions but received none (/insert). I had never before been in the Ft. and was totally ignorant of the defences. It was very dark + a storm of wind + rain continued till about 12 O clk. I reported to Capt. Williams who I found in command of the Artillery, and as I had not in my power to form a correct opinion of the situation + defences of the Place I posted the detachment of the 19 Regt 118 strong on the curtains of the Ft. in conformity with the opinions of Capt. Williams + Lieut McDonough (Captain Alexander J Williams and 1st Lt Patrick McDonough), which arrangement was immediately afterwards approved by Major Hindman of the Artillery. About half past 2 Oclk on the morning of the 15th the right column of the enemy about 150 strong commanded by col Fisher attacked our left Flank but were handsomely repulsed by Major Wood of the Engineers who commd the 25 Regt. + Capt Towson of the Artillery. A few minutes afterwards the center + left column attacked our right. The left column was repulsed by the 9 Regt which flanked the Fort on the right.The center column under the command of lieut Col Drummond attacked one of the curtains on which I had posted the 19 Regt. We had been more than half an hour prepared for the attack. A brisk fire was commenced till the enemy placed his ladders when we used the Bayonet to good effect. The enemy was three times repulsed at this point when he turned into the large ditch in front of the eastern Bastion where the two columns united after being repulsed + succeeded in scaling the Bastion which was defended by the Artillerists alone who were instantly swept from the Bastion. (A sentence has been blotted out here). To secure the Fort I immediately threw my right across the avenue which led to the Bastion to hold the enemy in check + command the gorge of the Bastion till I could make a proper distribution of my force. Capt Hill + Lieut Cass (Captain Alexander Hill and 1st Lt Charles L Cass) with about 40 men were ordered into the Stone Barracks which adjoined the eastern Bastion. Lieuts Stockton + McElwain (2nd Lt Robert Stockton and 3rd Lt John McElwain) were ordered to take a secure position between the two buildings and to retreat to the western Building if necessary. The troops fought with the greatest desperation + maintained the conflict against the united columns of the enemy about 150 for more than half an hour before they were supported except by a few artillerists who had possession of the western Bastion. The enemy made repeated efforts to get possession of the fort but received such a galling fire from the detachment between the building, from the windows of the stone building + from a part who remained on the curtain that he was compelled to return to the Bastion. A reinforcement of about 150 men arrived shortly after which the Bastion blew up + the fragment of the enemy was taken or escaped. The loss of the enemy at this point was about 250 killed + badly wounded and 50 prisoners. The enemy was completely (illegible) + beaten at all points. I have been this particular in detailing the circumstances because the Regt has not been mentioned in the general order + I suppose not in the Official report. It is true that they was a detachment of recruits--but they were placed in the most trying situation fought with great gallantry + lost in proportion to the number engaged five times more than any other corps. Lieut Patterson (3rd Lt John Patterson 19th Inf.) was wounded by a shell before he was an hour on shore + lieut Bushness + Ensign Cissna (2nd Lt Andrew Bushness and Ensign Charles Cissna) were badly wounded on the curtain of the fort when gallantly contending with the enemy. Capt Hill resigned on the 15th Lieuts Cass and Stockton are sick. Lieut Nixon + McElwain and ensign Neely (Ensign Nicholas Neely) are the only officers (insert) of the 19th (/insert) doing duty. There are now about 140 men here two officers and about 30 men at Erie PA. I have not heard of capt Talbot and his company. I hope they will will be ordered here together with any other recruits which may now be in Ohio. Officers are very much wanted here. I am in tolerable good health. Billy (William Hackett, a black servant or bodyguard who saved Trimble’s life after a wound on 17 Sept 1814) is well. While I am writing a (insert) large (/insert) Shell came thro the roof of the house + burst in General Gaines’ Room which is adjoining. The General is badly but not dangerously wounded. The interior of the house was torn to pieces. Major Wood + myself were sitting within ten feet of where the shell burst but did not receive any injury except the smoke + dust. My best respects to all my friends. This letter may be shewn to my particular friends but not published.